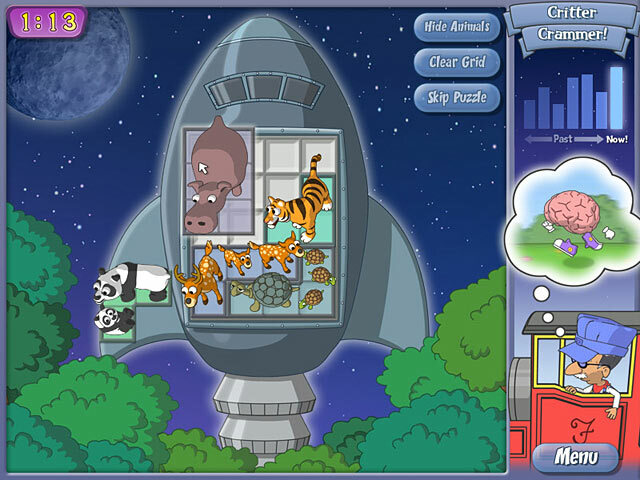 Discover the wild animal terrain aboard The Amazing Brain Train. First, Madeline the Monkey needs to collect all the fruit on the frozen pond. Guide her from one fruit to the next so she can grab it without sliding away. 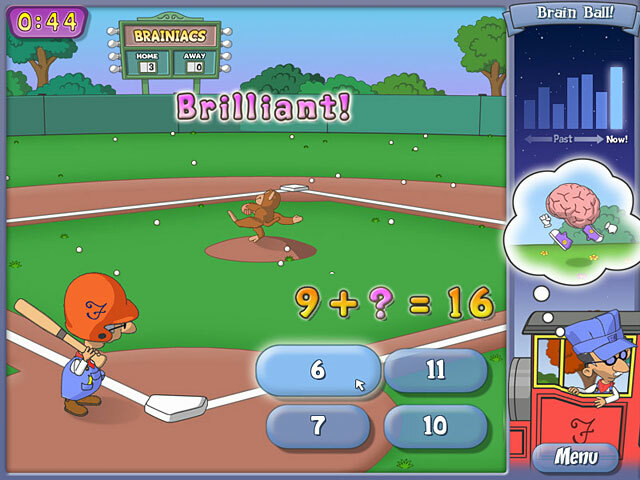 Choose from 15 riveting brain games in five categories such as "Spatial" and "Memory". 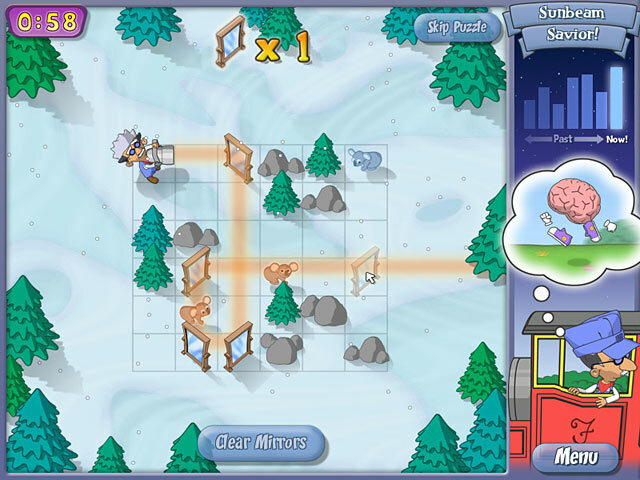 Become a Puzzle Prodigy and unlock new trophies in the quirky world of Professor Fizzwizzle. Power up your intellect and ride The Amazing Brain Train. 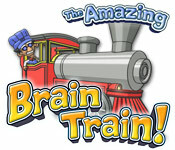 The Amazing Brain Train is rated 3.8 out of 5 by 4. Rated 5 out of 5 by Cornishwizard from Amazing Brain Train I agree with the other comments that this game looks childish, but in my opinion that's where it stops. Some of the memory tests get very difficult, well they did for me. If you haven't done even simple mental arithmetic in a long while, you will find this a challenge. Dexterity with the use of the arrow keys can also prove a challenge. OK, I'm 67 so my reactions will not be those of an 18yr old. BUT with practise using this game, they will come back!! Rated 5 out of 5 by cmjones99 from Good Family Game This has lots of different mental challenge puzzles. The puzzles get harder as you conquer them in the time permitted. For ages 8 and up. Rated 1 out of 5 by jimkygurl from It didn't work in Mac I can only hear background sound of the game. My screen is completely black. I was a fan of this game when I was using a Windows platform. I am so disappointed that it doesn't work well for Mac. My version is higher than the requirement. So, I don't know what's the reason. Have anyone else had the same experience?